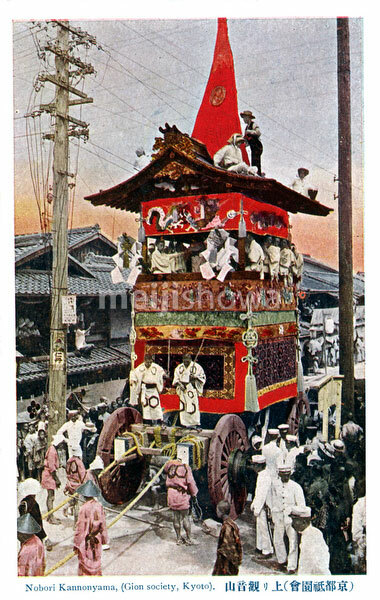 The Nobori Kannonyama (上り観音山) festival float is being pulled down a street during Kyoto‘s famed Gion Matsuri, which takes place during July. The festival was started in 869, when Kyoto was suffering from pestilence. See blog entry.